While Britains number one Andy Murray was defending his US Open title this week, the sport’s governing body was aiming to inspire a generation of young disabled players to reach similar heights. The Lawn Tennis Association (LTA) and charity Tennis Foundation held a disability tennis festival this week to showcase some of the youngsters we hope will shape a successful future for British Tennis at Rio 2016 and beyond, writes Jordan Jarrett-Bryan. According to the BPA (British Paralympic Association), wheelchair tennis is the fastest growing Paralympic sport since 2012, with participation up by 70 per cent since January. Tennis Foundation is keen to build on that, but it’s important to note that disability tennis is not confined to people in wheelchairs. All the adaptations of tennis that are available across the country were on show at the LTA head quarters, including learning disability, deaf and visually impaired competitors. But despite the most successful Paralympic Games in its history, most people won’t know anything about wheelchair tennis, let alone the wider spectrum of disability tennis. And why would they? How can a sport grow, if we don’t see it? 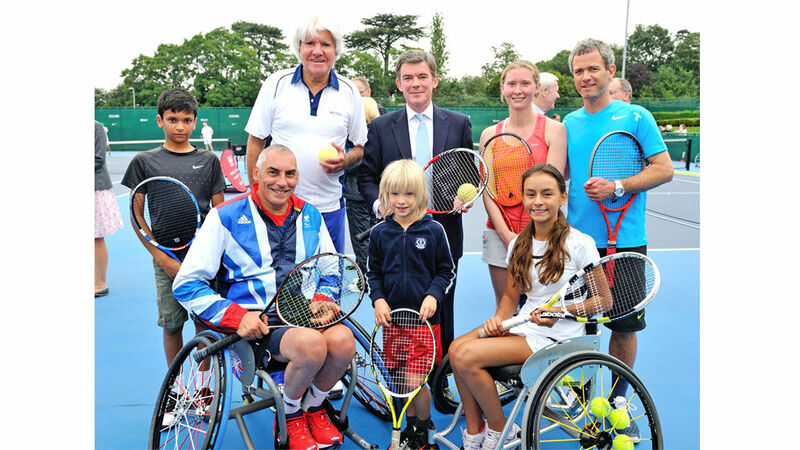 “If you’re disabled and like tennis, there’s no excuse to not play. All you need is a racket, ball and net”, he says. “I think we need to be approaching more (disabled) youths and letting them know just because you have an amputation that doesn’t mean you have to go into track and field or wheelchair basketball. “Tennis isn’t a come down, we need to change the attitudes of young people to sport and then we’ll widen our pool of top athletes at Paralympic Games”, he concludes. The media have played their part in showing the nation what disability sports are out there and now it’s up to disabled people to visit their nearest club and have a go. “I thought the coverage was great and more than we expected. Our athletes were getting front page coverage of national sports pull outs and Channel 4 completely understood what needed to be done”. “We didn’t want to focus too much on the stories behind the athletes, but show the nation what they could do in the sporting arena”.